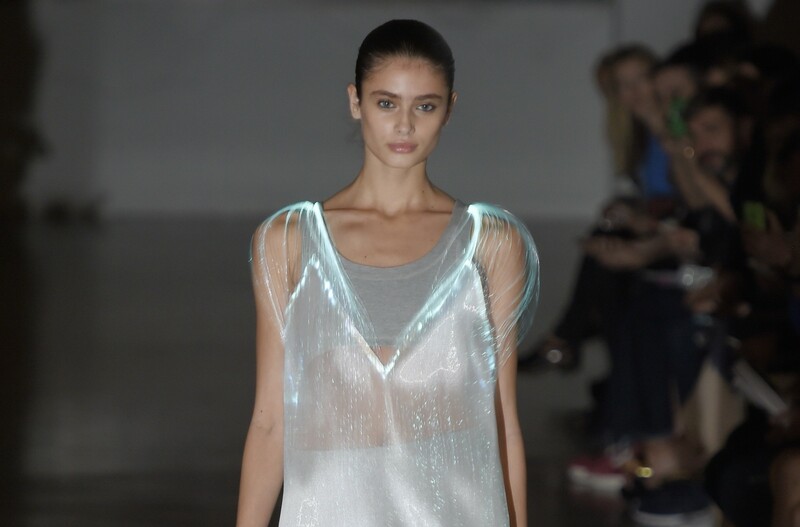 Using bright LED’s and fibre optics Richard Nicolls dress shimmered down the catwalk during London fashion week. The garment was put together with the help of the team from Studio XO. Overall, it created a beautiful trailing jellyfish-like effect. 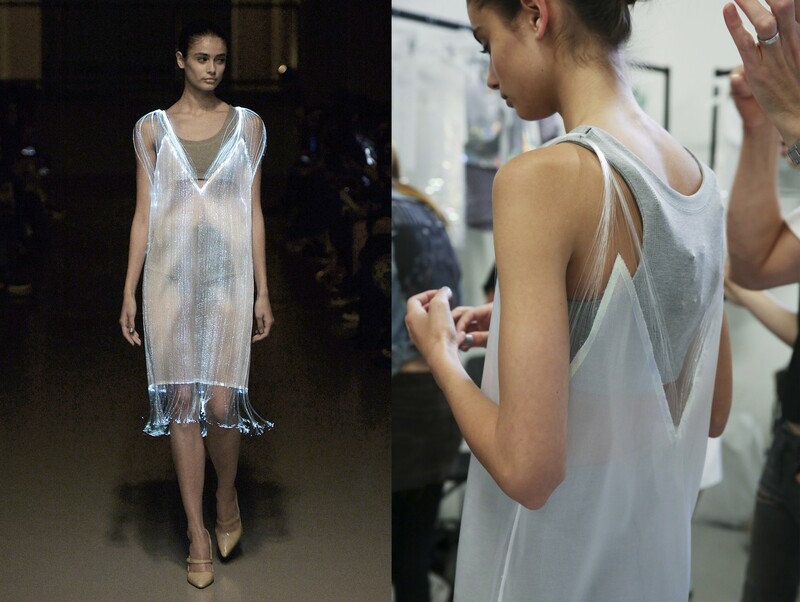 The following photo shows the supporting power and electronics at the back of the dress. In the past the main issue with fibre optics is the limit light output, requiring the garment to be shown in dark surroundings. Looking at the video it appears that the catwalk was dimmed so the full light effect of the dress could be appreciated, though the wearer/model effectively disappears.